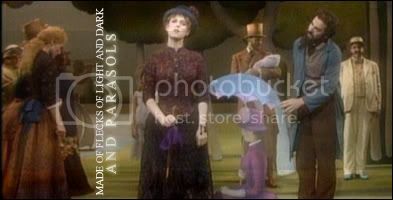 Musicals.Net - View topic - Favorite Character in ACL? all time favorite role: lady brockhurst, "the boy friend"
we stole the show, baby! Location: okay by me in Amerr-rrrica! I like Sheila and Paul. i just like singing "it wasn't paradise"
Val! What a hilarious role. Cassie -hands down. I love her. i think this is the third time i've posted on this topic, haha, but after seeing the revival show and meeting all of the actors, my faves are a tie between paul and greg (LOVED HIM! sweetest man in the world!!!) and for girls...DEF judy. heather parcells is the nicest woman i've ever met! plus, her dancing was amazing! some people have "it" and she defininitely does! Hard to pick, but I have to go with Val for the girls. "Dance: Ten; Looks: Three" is such an amazing song, lol. Plus of course I just like the character. Don't really know if I could pick a favorite guy... Hm.